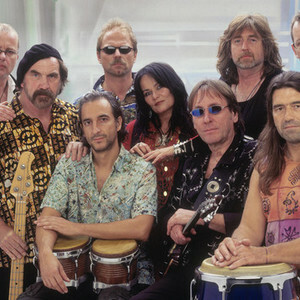 Agua Loca are 9 musicians of an extra-class forming around Peter Schick, leader and founder of the band. The line-up promise a multitude of sounds, rhythms, voices and characters - charisma, fun and passion for Spanish Latin Rock Music. Their music mixes the Mediterranian flair and good ol' hand made Rock'n Roll with the power of latin rhythms and the love for an exceptional music style. If you like Carlos Santana, you will certainly love their Spanish Latino Rock Music. Their music mixes the Mediterranian flair and good ol' hand made Rock'n Roll with the power of latin rhythms and the love for an exceptional music style. If you like Carlos Santana, you will certainly love their Spanish Latino Rock Music.